Home / MMA Flooring – What’s the Catch? 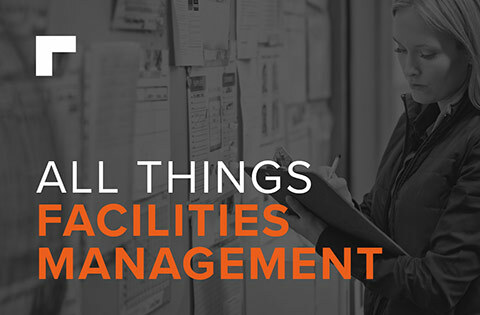 The prospect of overhauling an existing floor finish within a live trading space or to a tight deadline can seem daunting, but there is a speedy option available to quell a facilities manager’s fears. 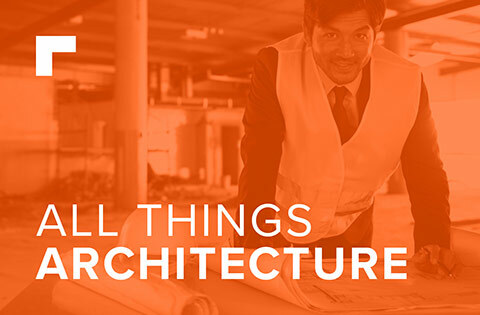 Opening new buildings or carrying out maintenance on existing surfaces can prove to be a challenging undertaking for building owners and managers looking to provide stakeholders with a safe, efficient and GMP compliant working space – all without impacting on trading requirements. To overcome these concerns, why not choose a fast curing methyl methacrylate (MMA) flooring option? MMA is becoming an increasingly popular choice for flooring projects that need to be completed quickly. This popularity stems from the fact that they can provide a hygienic, attractive and wear resistant surface that is fully trafficable just 60 minutes after installation. We know what you’re thinking. 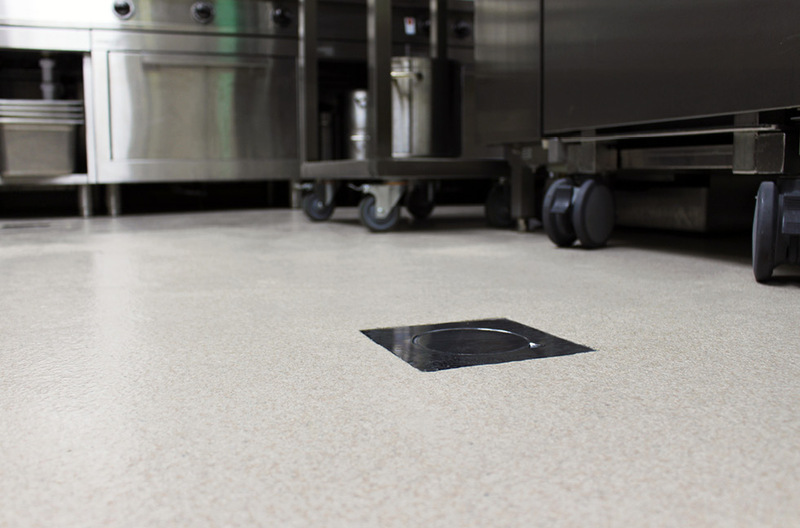 A fast curing and durable floor finish that significantly reduces down time and offers an attractive, fully trafficable floor in a fraction of the time of other flooring options – what’s the catch? Well, there isn’t one. This fast track solution allows follow on trades access to the site as quickly as possible and delivers the space back to the client in a timely manner. 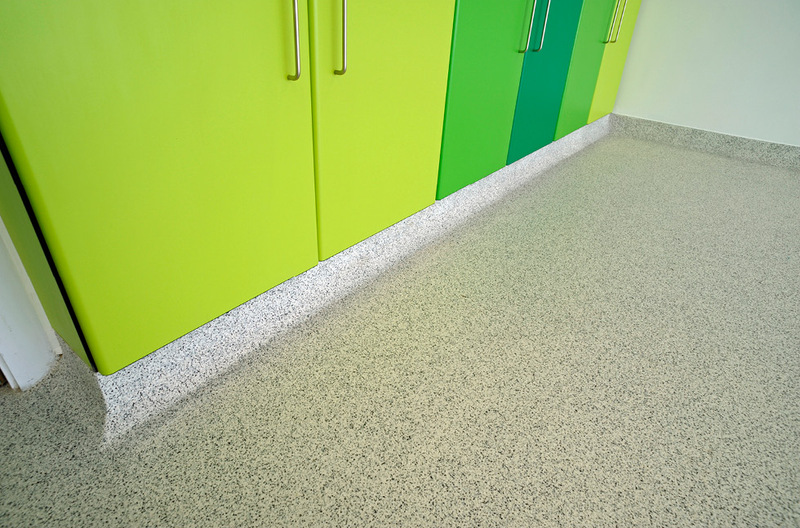 MMA flooring is available in both nonslip and smooth textures to meet variable slip resistance requirements. This is advantageous as employees and visitors can bring in remnants of bad weather underfoot or the area in need of surfacing may be subject to wet service conditions, cleaning processes or spillages – all of which can result in the floor becoming slippery, and increasing the risk of slips, trips and the possibility of costly litigation. 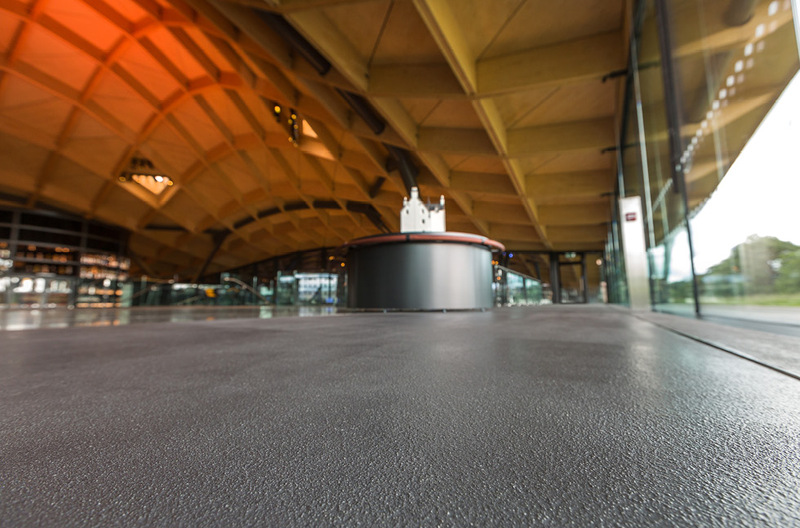 Where heightened traction is required, quartz aggregates can be broadcast over the MMA material to deliver a positively textured, anti-slip finish that will help to minimise slip and trip risks. Maintenance costs are a big factor for many clients when selecting a floor finish. Not only does the initial material price and installation cost need to be considered but so too does the material’s life expectancy and any associated maintenance expenses. Deep penetrating primers and the thermoplastic fusing of the MMA layer to the existing substrate creates an unbreakable bond that ensures the material’s longevity, with installations lasting in excess of 15 years if properly looked after. 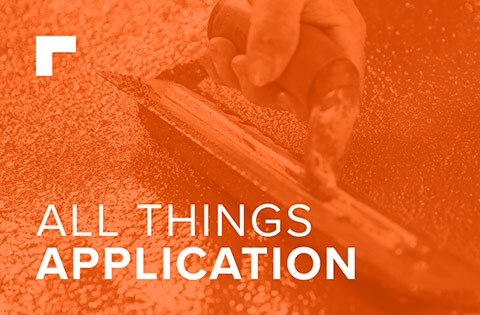 What’s more, end of life MMA floors can be easily and quickly overcoated with a new MMA finish, with the latest layer delivering a trafficable surface in as little as 60 minutes! MMA floors provide resistance against a wide range of substances and aggressive chemicals including most organic and mineral acids, alkalis, salt solutions, natural oils and fats, disinfectants, cleansers and sanitizers as well as sugar syrups, alcohols, fruit and vegetable juices. 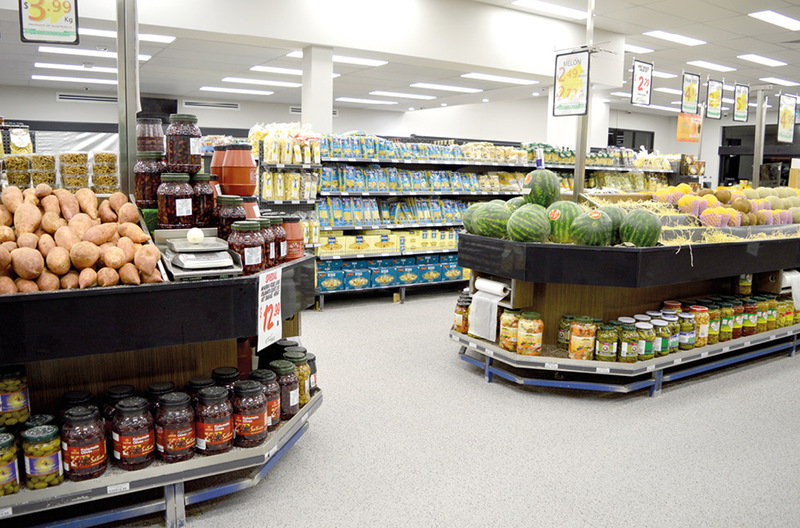 The material demonstrates incredible resistance to staining and discolouration as well, making it the perfect choice for food service areas, supermarkets and grocery stores subject to food and beverage spillages. 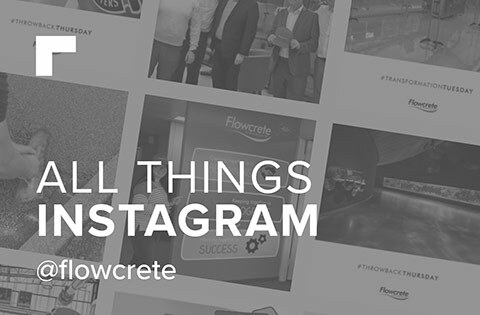 This unique fast track flooring solution can also be installed in bespoke patterns or colour schemes to align with corporate branding or floor zoning management plans. Because of the fast cure nature of the material, MMA flooring offers clients a huge reduction in downtime and minimises any loss of revenue, making it a pragmatic, practical and cost effective solution to the age-old problem of not having enough hours in a day! If you would like to know more about MMA flooring and the various options available to you click here, or leave a comment below and our flooring specialists will get back to you. A polyurethane deck coating system that can cope with constant exposure to the elements is advisable in these areas. Deckshield ED is a good example of this, as it has been specifically designed for the external decks of multi-storey car parks. If you let us know where you’re based we can put you in touch with your nearest flooring representative if you like?